Cartuxa elaborates this Cartuxa Reserva Brut 2010 (£34.98), a sparkling wine from Alentejo vinified with arinto from 2010 and has an alcohol content of 12%. According to Uvinum users, this sparkling wine earns 4 out of 5 points. - View: light yellow, very fine bubbles. 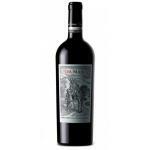 - Nose: aromas of yeast, notes of citrus and white-fleshed fruit. - Mouth: elegant and fine bubbles, a long, fresh finish. AGEING: aged on the lees in French oak barrels with stirring for 6 months. Second fermentation in bottle according champenois method, followed by another 36 months of aging on lees and stirring. Disgorgement in March 2012. PREPARATION: fermented in French oak barrels. WINE PAIRING: appetizers, fish dishes such as turbot or monkfish or meat dishes. 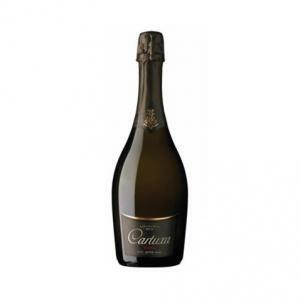 If you want to buy Cartuxa Reserva Brut 2010, at Uvinum you will find the best prices for Alentejo sparkling wine. At Uvinum, at the best price, fast and 100% secure. We offer over 59.000 products on sale becoming this way the biggest company to sell wine, beer, and spirits online in Europe thanks to more than 38.000 customers who trust us.